One current area of concern affecting children and families is inadequate employment opportunities. Due to inadequate employment opportunities in the formal economy, limited labor market information, and inadequate academic preparation, the mismatch between jobs and skills compounds the problem of high levels of unemployment of youth and the educated. Many people are employed in part-time jobs, and the rate of people not working during their prime years 25-54 (78% and rising) is increasing. In survey after survey, businesses complain that they can’t find any qualified workers to fill their job openings. The NFIB, the largest small business organization in the country, says we are living through one of the tightest labor markets in 40 years. “Small business owners reported few or no qualified applications for the positions they were trying to fill,” the NFIB said in its latest survey. An analysis of government data conducted for the Associated Press lays bare the highly uneven prospects for holders of bachelor's degrees. While there's strong demand in science, education, and health fields, arts and humanities flounder. Median wages for those with bachelor's degrees are down from 2000, hit by technological changes that are eliminating midlevel jobs, such as bank tellers. Most future job openings are projected to be in lower-skilled positions, such as home health aides, who can provide personalized attention as the U.S. population ages. Andrew Sum, director of the Center for Labor Market Studies at Northeastern University analyzed the numbers and said many people with a bachelor's degree face a double whammy of rising tuition and poor job outcomes. "Simply put, we're failing kids coming out of college," he said, emphasizing that when it comes to jobs, a college major can make all the difference. "We're going to need a lot better job growth and connections to the labor market; otherwise college debt will grow." By region, the Mountain West was most likely to have young college graduates jobless or underemployed—roughly 3 in 5. It was followed by the more rural southeastern U.S., including Alabama, Kentucky, Mississippi, and Tennessee. The Pacific region, including Alaska, California, Hawaii, Oregon and Washington, also was high on the list. On the other end of the scale, the southern U.S., anchored by Texas, was most likely to have young college graduates in higher-skill jobs. The figures are based on an analysis of the 2011 Current Population Survey data by Northeastern University researchers and supplemented with material from Paul Harrington, an economist at Drexel University, and the Economic Policy Institute, a Washington think tank. They rely on Labor Department assessments of the level of education required to do the job in 900-plus U.S. occupations, which were used to calculate the shares of young adults with bachelor's degrees who were "underemployed." About 1.5 million, or 53.6%, of bachelor's degree-holders under the age of 25 last year were jobless or underemployed, the highest share in at least 11 years. In 2000, the share was at a low of 41%, before the dot-com bust erased job gains for college graduates in the telecommunications and IT fields. Out of the 1.5 million who languished in the job market, about half were underemployed, an increase from the previous year. Broken down by occupation, young college graduates were heavily represented in jobs that require a high school diploma or less. In the last year, they were more likely to be employed as waiters, waitresses, bartenders, and food-service helpers than as engineers, physicists, chemists and mathematicians combined (100,000 versus 90,000). There were more graduates working in office-related jobs such as receptionist or payroll clerk than in all computer professional jobs (163,000 versus 100,000). More also were employed as cashiers, retail clerks, and customer representatives than engineers (125,000 versus 80,000). According to government projections released last month, only three of the 30 occupations with the largest projected number of job openings by 2020 will require a bachelor's degree or higher to fill the position—teachers, college professors, and accountants. Most job openings are in professions such as retail sales, fast food, and truck driving, jobs which aren't easily replaced by computers. College graduates who majored in zoology, anthropology, philosophy, art history, and humanities were among the least likely to find jobs appropriate to their education level; those with nursing, teaching, accounting, or computer science degrees were among the most likely. In Nevada, where unemployment is the highest in the nation, Class of 2012 college seniors recently expressed feelings ranging from anxiety and fear to cautious optimism about what lies ahead. With the state's economy languishing in an extended housing bust, a lot of young graduates have shown up at job placement centers in tears. Many have been squeezed out of jobs by more experienced workers, job counselors said, and are now having to explain to prospective employers the time gaps in their resumes. 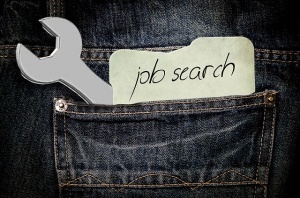 How does the issue of inadequate employment opportunities affect families? What are some possible solutions to these issues?